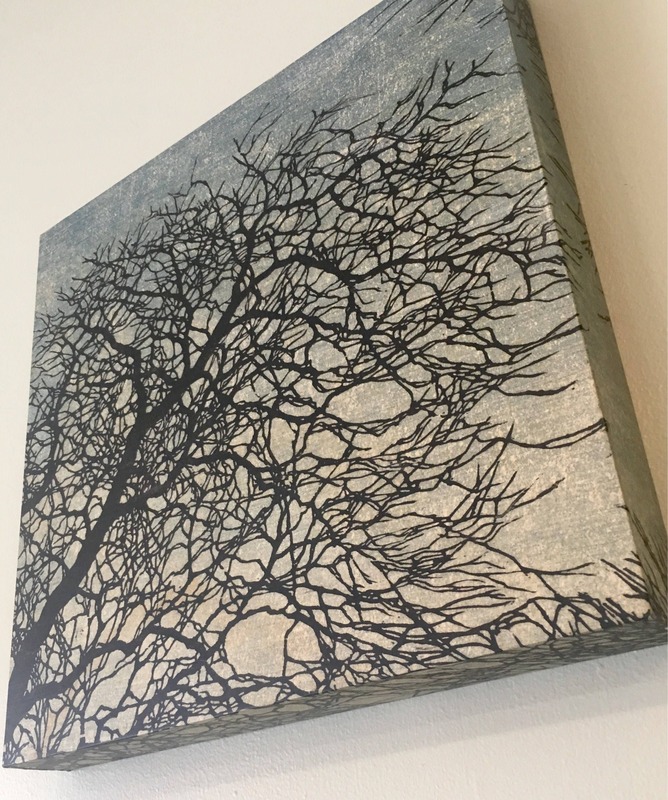 Original Mounted OOAK Woodblock Tree No. 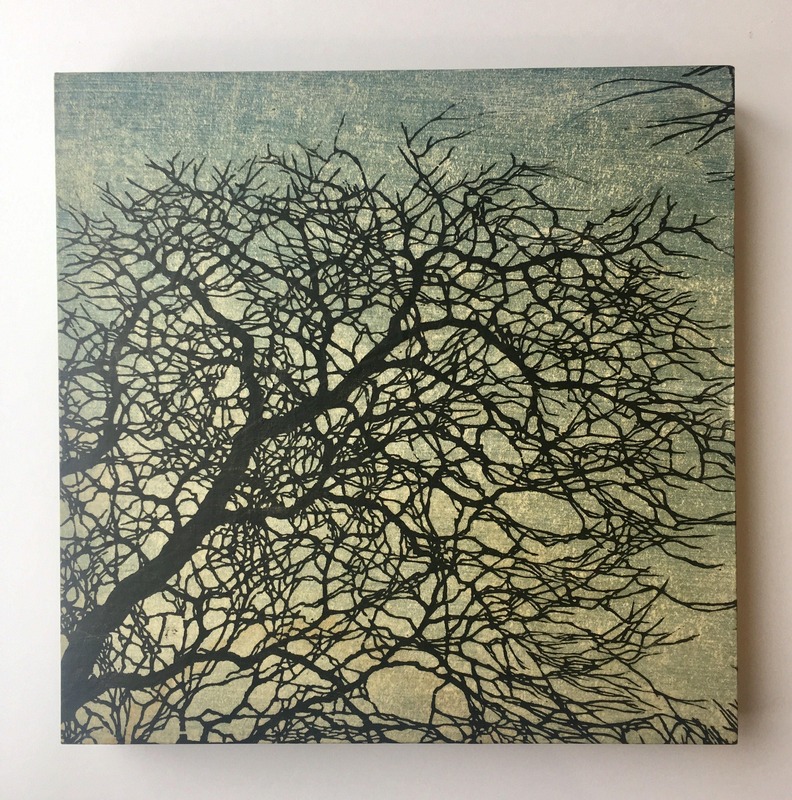 12 Print - Hand Pulled Fine Art Print - Ready To Hang - featured in Miwest Living magazine! Like all printmakers, I end up with stacks of test prints and proofs that do not make it into the signed and numbered edition. After much experimentation, I've found a way to mount them that I'm both happy with and looks good on the wall. 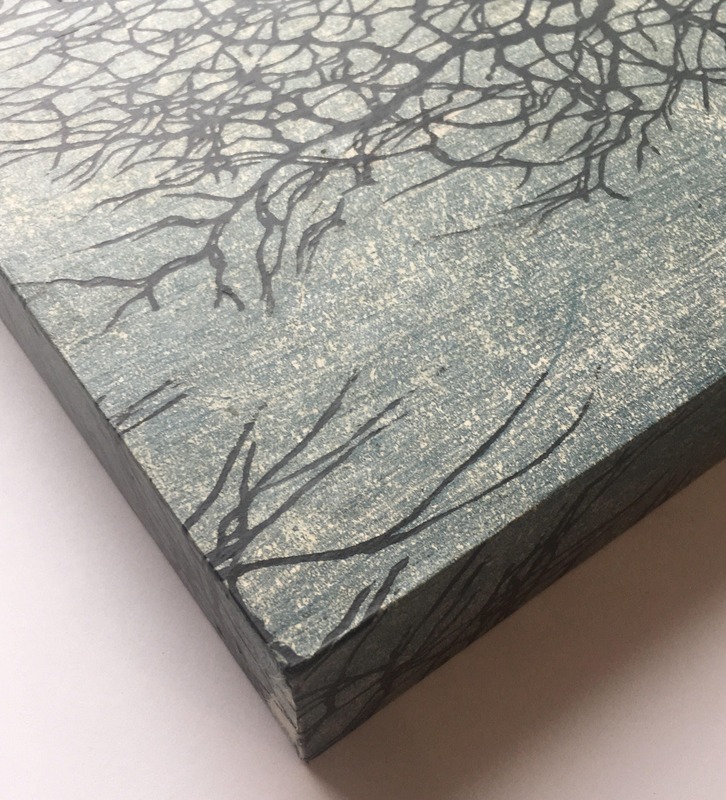 This print is mounted onto a wood support using archival glue after applying a couple of coats of gesso and paint to the sides. It's finished with several coats of acrylic matte varnish and ready to hang. This print was wrapped around all four sides of the support. 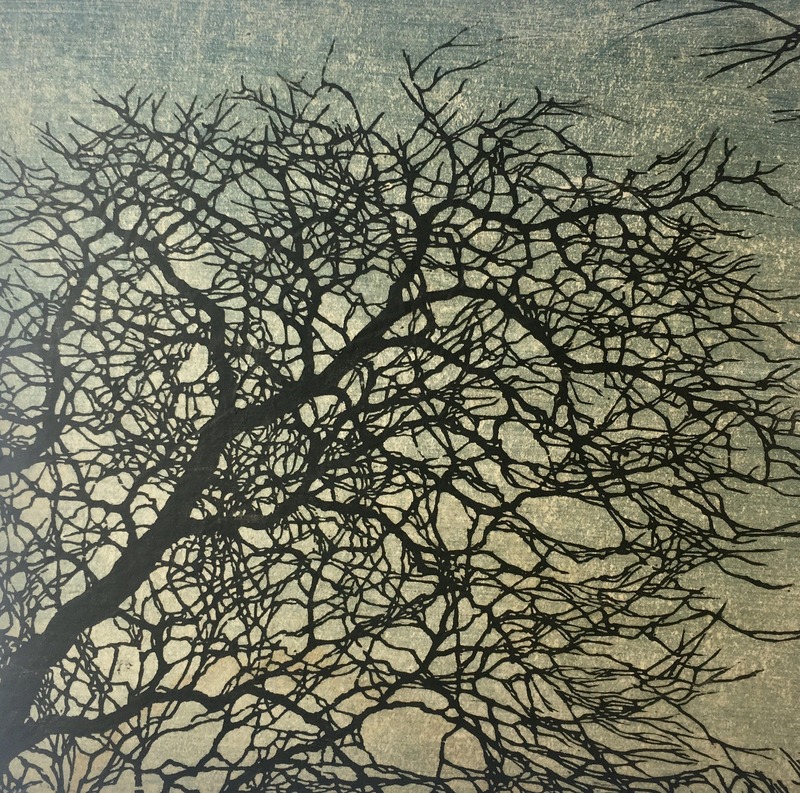 This two block woodblock print was created moku hanga style. 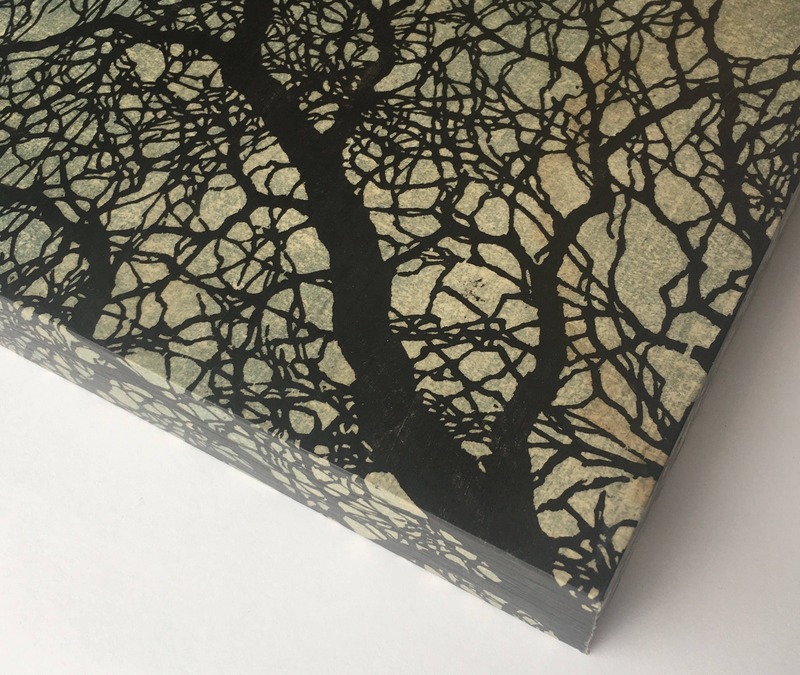 It was printed on handmade Japanese paper with water based ink and hand pulled using a baren. This is a fine art print, not a reproduction. 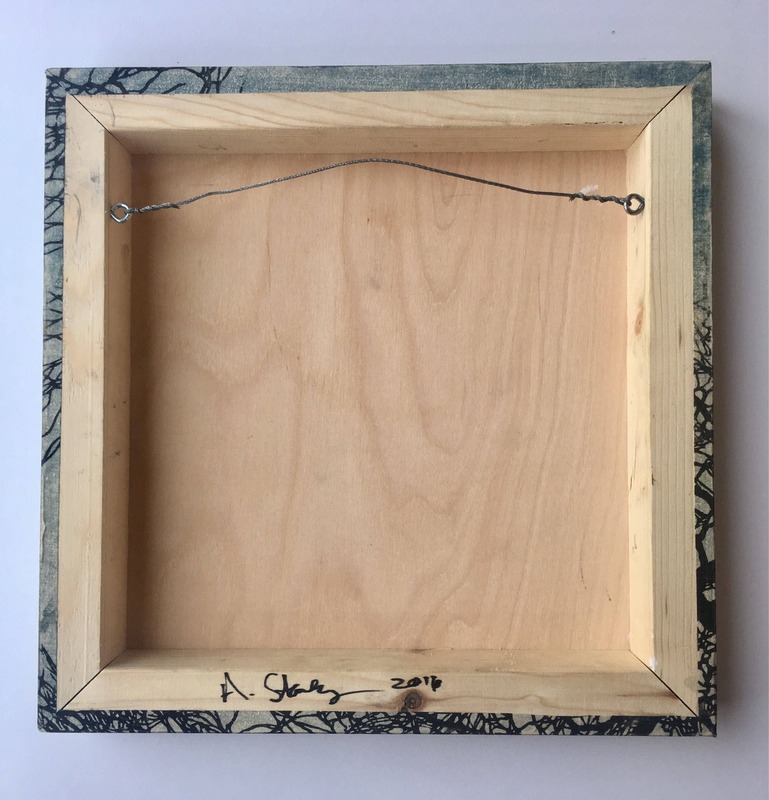 It measures 12" x 12" and is 1.5" deep with a wire hanger on the back. It will be shipped carefully via Priority Mail to ensure its safe arrival. 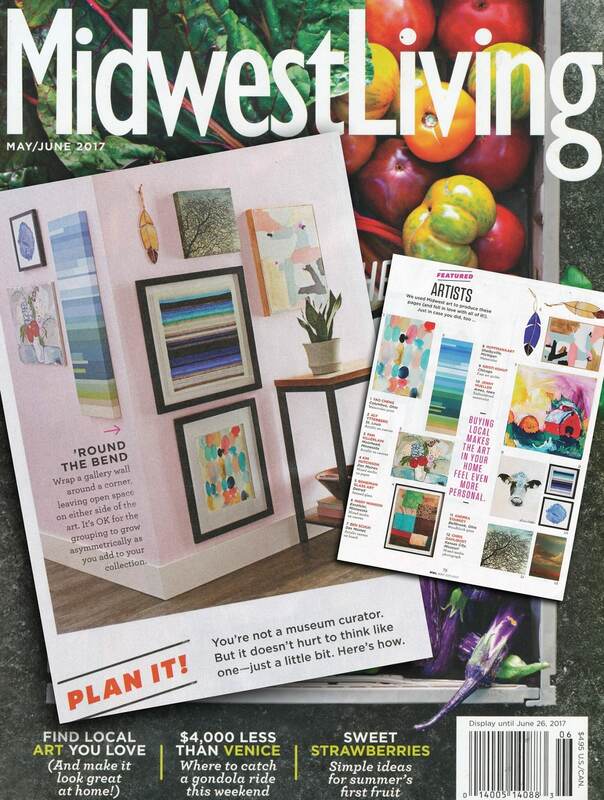 One of these mounted prints was featured in the spring 2017 issue of Midwest Living magazine.